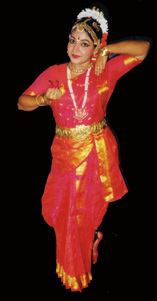 Dr. Vempati Chinna Satyam is a name synonymous with Kuchipudi. He was born in 1929 into a traditional family of dancers in the village of Kuchipudi, Andhra Pradesh, India and received his training under gurus Vedantam Lakshmi Narayana Sastry and Sri Tadepalli Perrayya Sastry. At a very young age, Dr. Vempati had a strong conviction to spread this art form throughout the world and moved to Madras at the age of 18. He underwent further advanced training under his cousin, Vempati Pedda Satyam who was a well-established dance director in the film world. With the single minded goal of establishing Kuchipudi as a recognized, purely classical art form, Dr. Vempati Chinna Satyam started the Kuchipudi Art Academy at Madras in 1963. Being well versed in the Natya Sastra, Dr. Vempati revolutionized the Kuchipudi art form by refining movements he considered rustic as well as establishing a structured syllabus for students to learn the art form. He rid dance dramas of long spoken dialogues and instead added pure dance sequences and song. Dr. Vempati made these innovative changes without compromising on the classicism of the art form. In addition, he added immensely to the solo repertoire (approx. 180 Solo items ) and dance drama (approx. 15 dance dramas) repertoire of Kuchipudi. Some of his most famous dance dramas include Padmavati Srinivasa Kalyanam, Menaka Viswamitra, Chandalika, Rukmini Kalyanam, Hara Vilasam, Ramayana and Ardha Nareeswara. Dr. Vempati's choreography embodies both the grace and vigour of Kuchipudi along with the magical dramatic element. The subtle nuances of Kuchipudi and keen aesthetic sense in Dr. Vempati's brilliant works have captivated multicultural audiences throughout the world. As a guru, Dr. Vempati has trained thousands of students. Highly revered by his students, he is well known for his giving nature as well as insistence on perfection and dedication. Dr. Vempati has conducted numerous workshops and lecture demonstrations throughout the world including the USA, South America, Trinidad, Australia, Russia, Kuwait, Canada, and France. 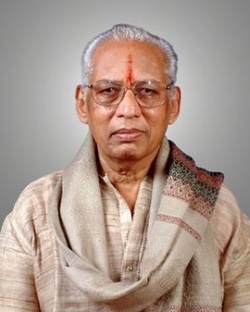 Some of Dr. Vempati's awards within India include: Padmabhushan from the Government of India ; Honorary doctorate from Sri Venkateswara University and Andhra University ; National Award from Central Sangeet Naatak Akademi, New Delhi ; Shanmukhananda Sangeetha Shiromani award ; T.T.K. Memorial Award by Music Academy ; Asthana Natyacharya of Tirumala Tirupati Devasthanam. He has received numerous accolade abroad as well. Known for his simple, humble nature, Dr.Vempati has selflessly dedicated his life to the Kuchipudi art and has always advocated, "art for the sake of art and never for commercial gain." He is an unparalleled visionary in the field of dance who has revolutionized the art form through refining the style, bringing it international recognition and creating his magical, scintillating choreographic works. Guru Smt Sathyapriya is a senior student of Padmabhushan Dr.Vempati Chinna Sathyam & the Founder - Director of "Narthana Saala". She was a teacher at Dr VEMPATI's "KUCHIPUDI ART Academy" for 7 years and she performed more than 1,000 programmes all over the world. After serving as a teacher and performing all over for 20 years, she started her own school, NARTHANA SAALA in 1993 training more than 800 students till date. She is a visiting faculty to "Kalamandapam", an Institute of KUCHIPUDI Dance in Washington D.C. and visits U.S. every year apart from her periodical workshops at Germany, Muscut, Italy and Australia. She had choreographed number of specialised solo items apart from a couple of mega Ballets, including the latest "GANGAAVATHARANAM". She was awarded the title of "AADAL ARASI" by the "Vani Nilayam", an Academy of Dance in Dillenberg, GERMANY apart from the 2 Titles, " KALA THILAKAM & M.G.R.MEMORIAL AWARD" presented by SOUTH INDIAN CULTURAL ACADEMY. She participant in the INTERNATIONAL KUCHIPUDI CONVENTION, held at "CUPERTINO", California, U.S., where she got the recognition by the prestigious "GUINNESS BOOK OF WORLD RECORD", in June 2008.